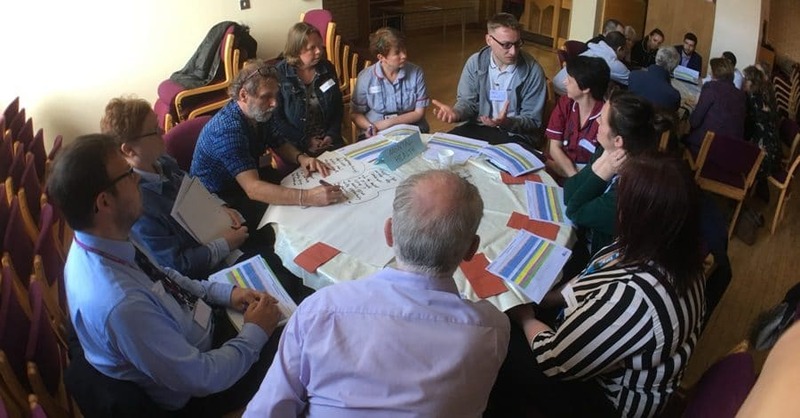 Blackpool Council, in partnership with local health commissioners, asked Shared Future to run a Citizen Inquiry on the theme of Health and Wellbeing. Following a listening event on the 4th May 2017, where the recommendations of the citizen inquiry were shared with commissioners and stakeholders, we produced this report, which includes the recommendations of the participants. The process was commissioned by Blackpool Council’s Public Health department as a way of finding out what local residents think after an intense period of deliberation. They were given the chance to share experiences and opinions, to challenge each other and to question a range of professionals before writing their own recommendations on what needs to happen. Participants in the inquiry, ranging in age from 18-80, talked about alcohol, isolation, safety, community, tourism and mental health, before drawing up a set of 33 prioritised recommendations. Following the inquiry sessions the participants launched their recommendations at a listening event on the 4th May 2017. One of the discussion groups on implementing the recommendations, held at the listening event, is shown in the picture above. You can watch interviews with some of the participants, and commissioners and facilitators, recorded at the listening event. Or download the report below.